Within his first 10 gigs, Glenn was a finalist in So You Think You’re Funny? and a runner-up in the Chortle Student Comedy Awards. Since then, he's gone on to regularly perform across the UK, for the likes of Jongleurs, Off The Kerb and Komedia. At the 2014 Edinburgh Fringe, he was part of the prestigious AAA Stand-Up Late showcase show. 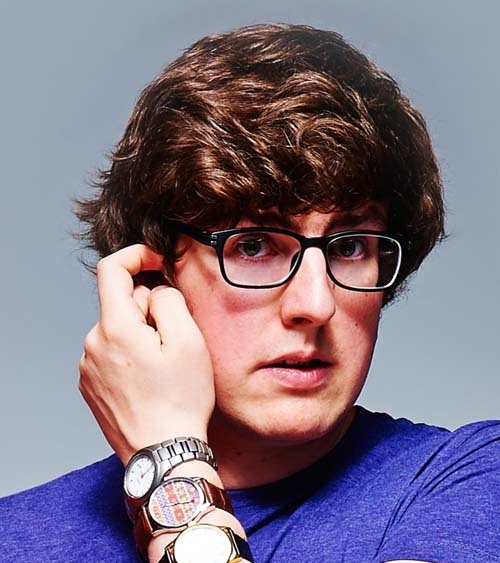 Glenn is also one half of the critically-acclaimed sketch comedy duo Thunderbards, who had a sell-out run at the Edinburgh Fringe in 2014, as well as a show at the Fringe the previous year voted one of GQ's 'Top Ten Funniest Shows at the Fringe'. In 2014, they were finalists in the Hackney Empire New Act of the Year competition, performed on McAuley And Co on BBC Scotland, and had two jokes from their show 'Seconds' included in the Daily Mirror's and the Edinburgh Evening News' top ten funniest jokes of the Edinburgh Fringe. In 2013, they were runners-up in the inaugural London Sketchfest, which saw their inclusion in the Independent's 'Best Comedy of the Year' alongside Louis CK and Bo Burnham. As a writer, Glenn's known for his silly one-liners on Twitter, and has also written for BBC Radio shows including The Now Show and News Jack. Outside of comedy, Glenn is a newsreader for radio stations across the country, including Capital FM, Classic FM, XFM, Heart, Smooth, Sky News Radio and LBC. He also regularly appears on London Live's Evening News, and the Evening Show.